Add all the ingredients in a bowl except chocolate chips. Whisk well, no need to overmix, it’s fine if a few lumps are there in the batter. Add in chocolate chips, mix gently. 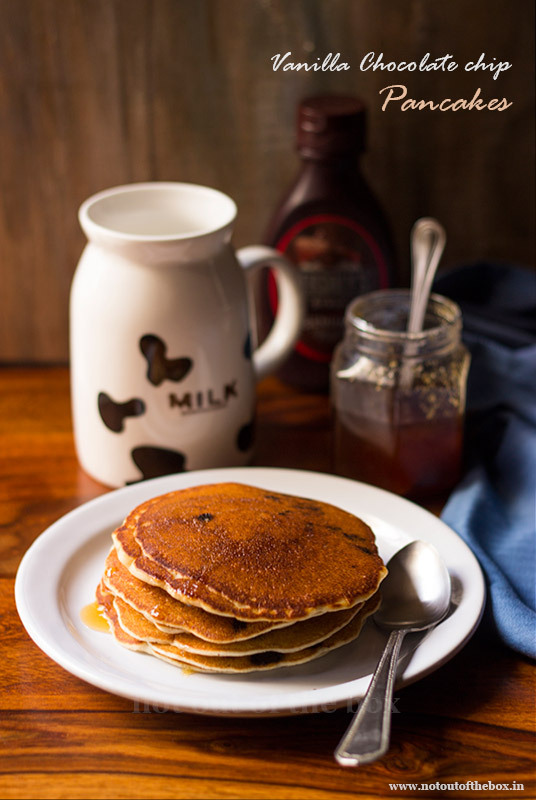 Heat a nonstick frying pan, pour 1 small ladleful pancake batter on the pan, cook for 2-3 minutes over medium heat or until bubbles appear on the top surface. Flip gently, cook until light brown in color. Serve warm with chocolate syrup/honey/maple syrup and some fruit jam on the side. Enjoy! 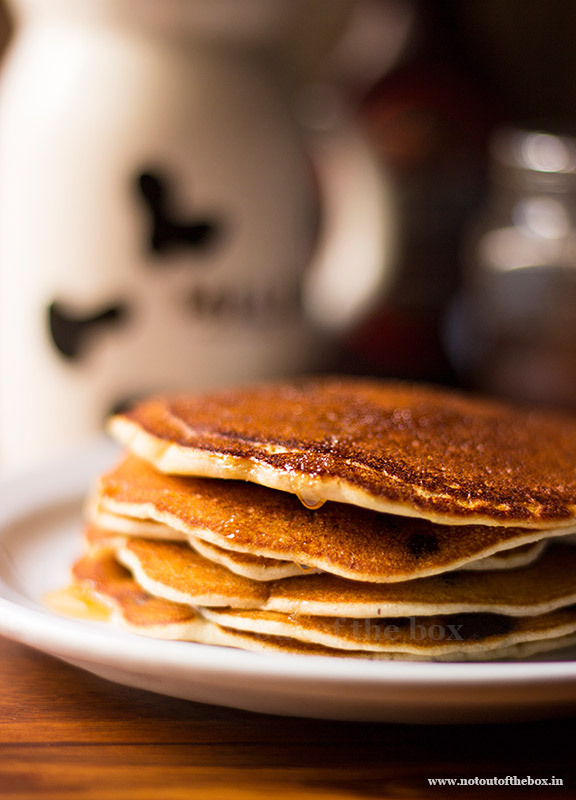 Adjust heat during the time of making pancakes, overheating may burn them. Feel free to mix in different ingredients into this pancake batter. You can add berries, nuts, or any other fruits of your choice. Minus 2 tsp flour and add 2 tsp unsweetened cocoa powder if you want to make Chocolate Pancakes. You can always double the ingredients as per your requirement.